As Abby Ahn reviews her class notes, she notices a messy doodle on the side of her binder paper. With a second look, she recognizes its great potential. Sparks of inspiration flying, Ahn revisits and revises until she has created the perfect design. Carmel High senior Abby Ahn broke the norm by creating her own clothing company, OK Cool, during the summer of 2018. The brand’s website, okcool.shop, features T-shirts, backpacks and other accessories which the artist single-handedly creates. 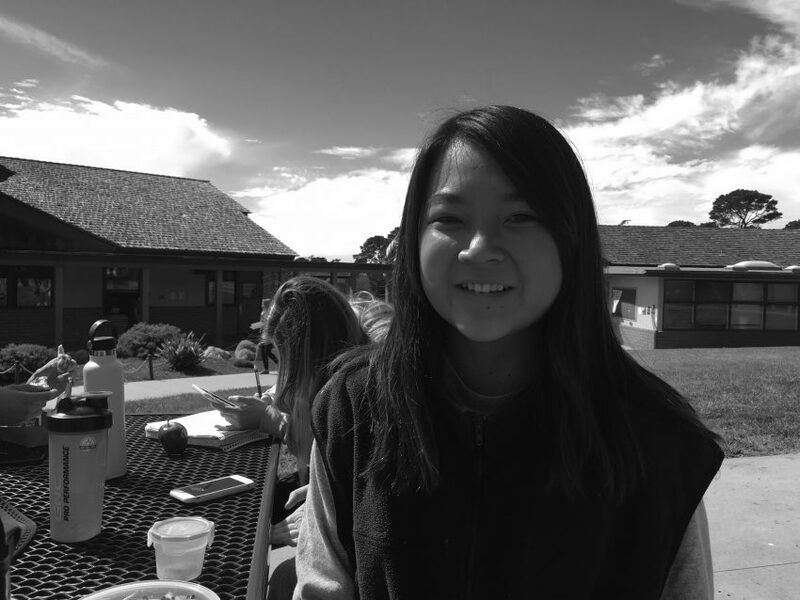 Over her four years at Carmel High School, Ahn has taken numerous art courses as well as extra courses outside of the school, including graphic design classes at the Youth Arts Collective in Monterey. Fellow senior Oliver Fredrickson, owner and creator of the brand Nerd Venom, saw some of Ahn’s designs and told her that they would look great on T-shirts. From there, he helped set her up on the website he uses to print his T-shirts, Uberprints. The artist took this opportunity to upload one of her original designs onto a T-shirt. When she wore it to school, Ahn became overwhelmed by the sheer number of compliments and questions she received about it. Students told her that they really liked the shirt and would want to have their own. She saw a business opportunity and began to print more, in order to sell them face-to-face to her friends. Growing in popularity, Ahn decided that she wanted to be more professional, so she started her own website. Unassisted, she began researching how to create a website. After weeks of hard work, she was able to sit back and see a well-organized, competent website displaying her art. After investing about $350 into the website alone, merchandise is just now beginning to sell. With five orders in the past two weeks, the young entrepreneur sees success in the future. She hopes to get the word out to more people, seeing social media as an outlet. With Ahn’s passion and talent for graphic design, other businesses have begun to notice. A local dive shop in Monterey saw her work and hired the young entrepreneur to make T-shirts in order to raise environmental awareness. Folktale Winery also hired her to create wine labels after noticing her exceptional work.